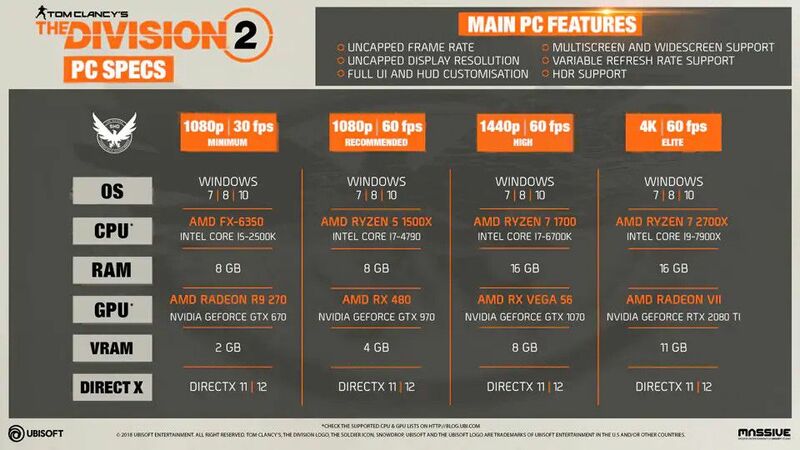 The Division 2 specs and release date revealed. And we have a trailer! 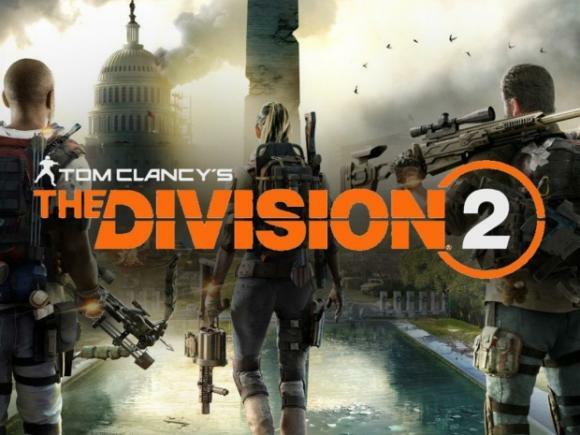 Ubisoft have turned the leaks regarding The Division 2 into a full blown tide. 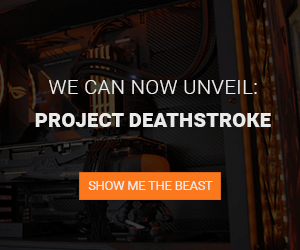 Now the release date is revealed alongside a whole stream of specs. Ubisoft have given us a little sneak peek into their upcoming sequel to Tom Clancy's The Division. The original had its ups and downs, praised for its captivating ambiance, scolded for its alienating repetitiveness. The first experience was a positive one, though, and now we get to trade the realistic New York City tour for a post-apocalyptic Washington D.C on the brink of collapse. Time to drain the swamp! The launch is set on March 15, and we will naturally keep our eye out for the collapse of the free world and give you our verdict. On the technical end of the game, Ubisoft have regularly provided small bits of information, especially regarding their collaboration with AMD in optimizing your experience. Now they have released a trailer showcasing some of the new features, acting like a petit hors d’oeuvre before the main feast in March. The game will support 4K, HDR, variable refresh rate, widescreen and multiscreen support, uncapped frame rate and resolution. Minimum, recommended, high, and elite system configurations will all be able to run the game from 1080p at 30FPS to 4k at 60FPS, giving every player an equal opportunity to do a serious filibuster on their opponents. 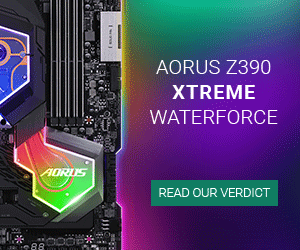 According to the specs, minimum requirements are an AMD FX-6350 or Intel Core i5-200K with 8GB RAM, and your graphics card needs to be at least a Radeon R9 270 or GTX 670 on 1080p at 30FPS. Recommended specs beef up the requirements to a Ryzen 5 1500X or Core i7-4790, 8GB RAM, paired with either an RX480 or a GTX 970. If you are in it for the 4K at 60FPS eye candy, you better have a Ryzen 7 2700X or Core i9-7900X, 16GB RAM, and a Radeon VII or RTX 2080Ti. Ubisoft will reportedly only release on Uplay and Epic Game Store, leaving Steam users steaming.